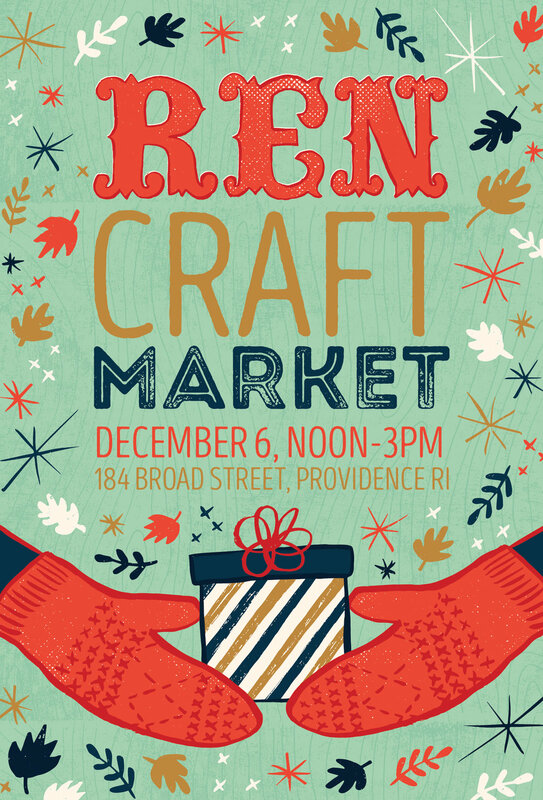 I created this poster for a craft market at REN Church using hand-drawn elements and textures. The "REN" letters were drawn from the marquee lettering sign on the exterior of the building to help visitors easily identify the location. I used a color palette that I felt was both wintry and autumnal. 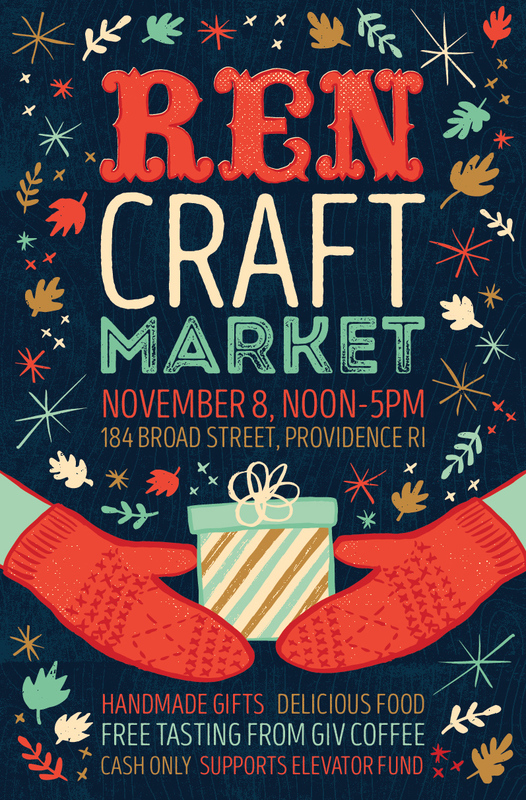 The first event was such a success that there was a second market the next month, and I created a different colored version of the poster to advertise for that event.